I had a short conversation with a dear friend today that just breaks my heart. She has a great job, earns a great living but has no time to enjoy her life. Short of cloning herself she has no choice but to be a workaholic. The demands of her job are such that she has no choice but to work 24/7. Do you love your job? Has it taken over your life like my friends job has? I am thankful that a little over three years ago I was introduced to a business that I can work from the comfort of my home on my schedule. I get paid to eat and share healthy chocolate. I have time to spend with my family and I just returned from a Royal Caribbean cruise that I earned from my healthy chocolate business. I met some great people on my cruise and some of them are my new business partners. I love my job and I love that I get to decide how much and when I want to work. 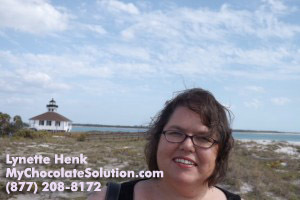 If you are like my friend, overworked and overwhelmed, seriously consider starting your own home based healthy chocolate business. Instead of spending a small fortune starting a franchise that requires $20,000 to $250,000 just to get started with an expected 3-5 year wait to earn a profit, consider a private healthy chocolate franchise that you can start for less than $1,000 dollars. Let me show you how you can quickly earn your money back and start a successful business venture where you control when and where you work. Now is the time to take back control of your life. NextBuy Nuggets in Kanazawa Japan?